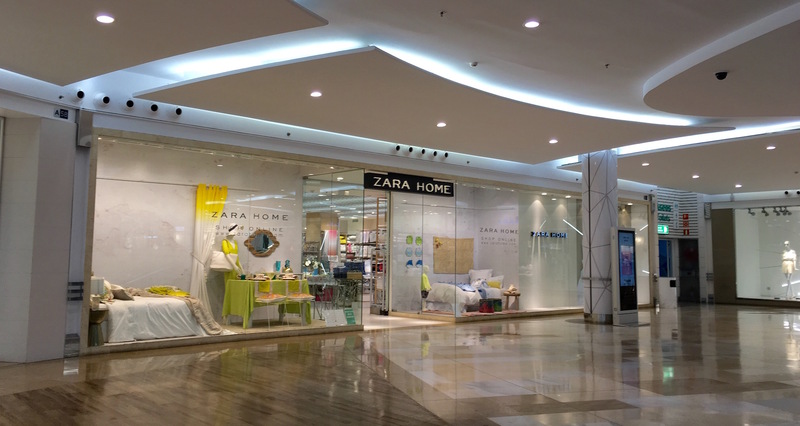 The Miramar Shopping Centre Fuengirola has changed a lot over the years and is now home to some fantastic brands including Primark, Zara, Massimo Dutti, Zara Home, Superdry, Benetton, Tiger Store and many more. Miramar also has a 12 screen Cinesur Cinema, great choice of cafes and restaurants, Go Karting and also a kids entertainment club called Isla Miramar. But more than all the above is the way Miramar Shopping Centre has adapted itself for families, people with young kids and people with reduced mobility and are offering free hire of pushchairs, prams and wheelchairs. Just go to the Information Point on the ground floor and remember some form of identification, DNI, passport or driving license. Their website is absolutely fantastic full of great up to date information, easy to navigate and they even have LIVE Chat (in Spanish). We highly recommend taking a look Miramar Fuengirola Website and joining their newsletter. Its pretty easy to get to by public transport as it is in Fuengirola which has both buses and trains, but this is why we always advise people to hire a car as it gives you such freedom, especially when travelling with kids as the sun can get a bit much or if the weather its bit dull. Bank Holidays, this year 2016, January 3rd, February 29th, March 20th – 26th, October 12th, November 27th, December 11th 18th, 26th. But please do check Miramar Opening Hours here. There are a great choice of shops at Miramar; Fashion, Accessories, Sports, Kids, Toys Shops, Health Shops, Cafes & Restaurants. They regularly change so to keep totally up to date please see Miramar Shops here. Obviously many of us on the Coast love Primark as the others stores are either in Malaga or Jerez. The queues do go quickly so don’t be put off, although the returns queue is very busy and a little slow, so my advice is to try and be the first one there at 10am. For restaurants, we personally love The Good Burger. Its so cheap and sometimes you can get 2 x 1 making it ridiculously cheap. Its quick, fresh and great value for money. Another place we love is Beher for ham, cheeses, wines and we love the tomatoes aliñados. If you like Ham but are never too sure which ones to buy, Beher is a brilliant place to become familiar with as they slice it right there so you can try it. Their baguettes are incredibly tasty too considering its just bread and ham. Tiger Store is also in Miramar, a favourite for the kids, its like an upmarket Chinese Shop. Its not a very big one unfortunately, but there are more store in Malaga and now in La Cañada. Eroski Supermarket is a huge supermarket open at 9am. It sells everything, just like a big Tescos Store in the UK. The Fish counters in these supermarkets are fantastic and so cheap. The cinema we really like. Lots of film in original version and the seats are comfy too. They do have a range of discount cards which can make each visit really cheap to do be sure to ask about these. If you keep up to date with Miramar Newsletter, every year there is a ´Cine Week´where it costs just 2,90€ entrance. All parking is Free, our advice is to go underground if it is sunny as the cars get very hot outside. There are also spaces for Families, Mother & Baby and Disabled too. Do remember where you parked your car…its very easy to get lost. The spaces are quite tight to get out off so we would advise reversing in. Please do remember, when going to your car, especially if you park outside, watch your bags and look out for anyone coming close to you asking for money. Don’t get distracted. For mums with young kids and pushchairs, do use the spaces provided especially for you. For all directions how to get to Miramar by Car, Bus, Train, you can find all the details here. Directions to Miramar Shopping Centre.